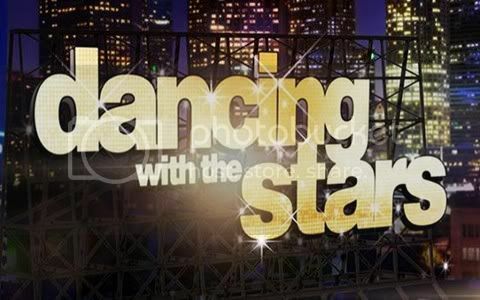 Quick Take: Dancing With the Stars 14, "Week 9"
Review: Dancing With the Stars 14, "Week 9"
(S1417) The four remaining DWTS couples gave it their all in their final two dances ahead of the finalists being announced on Tuesday night's result show. Up first on the dance floor were William and Cheryl, who kicked the night off with a tango that was fantastic. When it came to the judges critique Len felt that overall it was terrific, Bruno could hardly contain his enthusiasm and declared that William had total control of the dance and Carrie Ann was a bit nitpicky pointing out little nuances here and there. Their second dance of the night was the samba that was true perfection earning a thirty from the judges. Combined with the twenty-eight their earned for their tango they ended the night with a fifty-eight out of a possible sixty to finish the night in second place. Hitting the hardwood second were Katherine and Mark who had an unfortunate slip in their second dance. Their first dance of the night was a fun and quick quickstep that had the judges all in agreement... It was great. Bruno said it was outstanding and had amazing technique, Carrie Ann felt that this was her best dance of the competition (I beg to differ on that account) and Len declared that Katherine is a dancer. Unfortunately these high praises didn't lead to a perfect score as Len was a holdout only scoring them a nine compared to the ten's Bruno and Carrie Ann doled out. Their second dance, the salsa, was fun but at the end Katherine appeared to slip or something. It was heartbreaking because up to that point the dance was flawless. I must say Katherine handled it well and is a true performer. Instead of wanting the show to the stop, so to speak, she told everyone to carry on as normal. You could tell that the judges were upset and dished out positive complements but unfortunately had to score her accordingly and they ended up receiving triple nine's from the judges to end the night with a fifty-six, placing them at the bottom of the leaderboard. The always entertaining Donald and his partner Peta hit the dance floor third. Up first they danced the waltz. I'll be honest, I never like the waltz. I always find it to be a yawn fest but Donald and Peta breathed life into their waltz and it was absolutely beautiful to watch. While the judges were full of complements the elusive thirty is still slipping through Donald's hands. They earned a twenty-eight. Up next they danced a samba that was a bit of a risk but to still fun to watch. As opposed to getting into the theme of Brazil for the samba theirs was a bit more fun and "buttoned-up." While Len did say that they took a risk and made it work for them he only scored them a nine compared to Carrie Ann and Bruno's ten. They ended the night with a fifty-seven in third place. What is Donald going to have to do to get that thirty? Hopefully he makes it through to the finals so we can all see it happen! Up last were Maria and Derek. I'll be honest, I didn't care for either of their dances, but, it appears that she is the judge’s favorite as they didn't seem to be as nitpicky with them when it came to her and Derek's performances. They danced the Argentine tango first and it appeared that her legs were bent the entire time but the judges didn't seem to notice and all three declared it was fabulous and scored them a perfect thirty. The jive was their second dance and it appeared to be more of a swing dance than a jive. Bruno even commented on the fact that it wasn't traditional but he felt that it was brilliant. What's funny is that Len is usually one to blast the dancers when they don't do traditional but he liked this dance - although, he was the holdout on scoring them with another perfect thirty only giving them a nine. They ended the night with a fifty-nine and first on the leaderboard. It's really anyone's guess who could be going home so close to the end. If I had my way I'd like to see William, Katherine and Donald in the finals. Sorry Maria, I'm just tired of you crying practically every week.